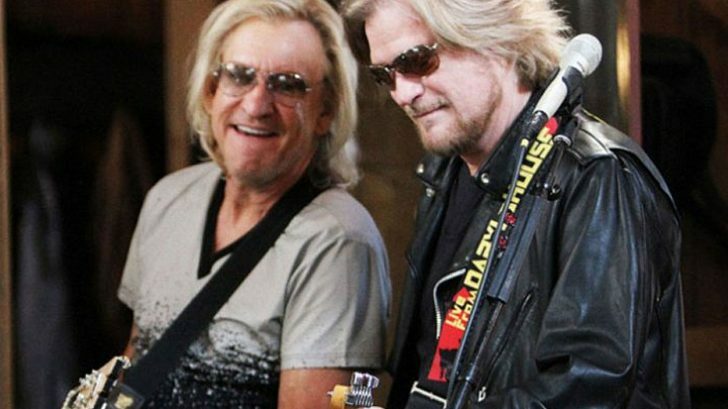 Joe Walsh & Daryl Hall Once Played “Life’s Been Good” And Even Their Own Bandmates Were In Awe! Joe & Daryl Are About To Take You To Church! It’s not exactly arguable when I say that Joe Walsh is one of the (if not THE) most influential singers, songwriters, and musicians that’s ever taken to the stage. He is a musician that consistently sets the bar higher and higher with the constant refinement of his own craft. He is the type of musician that is often imitated, but never duplicated. He is one of the best, pure and simple. All the same can be said for the legendary Daryl Hall. This man is a regular at the gentlemen’s club of chart-topping musicians. Since day one, he has been consistently putting out hit, after hit, after hit, after hit, after hit. It’s just what he does. So could you imagine what it would be like if these two legends came together to perform even just one song? Well, you don’t have imagine any longer! What you’re about to watch is a video in which the two mentioned musicians come together to perform a wildly awesome rendition of the song Life’s Been Good. To put it simply, these two put on an absolute master class. Don’t believe me? See for yourself!